Last Updated: March 24th 2019: If you have been looking for a new furniture set, then there are quite a few different designers you have to choose from. And if you've been exploring your options, you might have come across Jonathan Louis! I first found Jonathan Louis furniture when I was looking through Crate and Barrel for my living room renovations. And the design of these pieces really stuck out, they were very clean and sleek designs often in neutral colors as well as bright colors. Jonathan Louis was first started in 1985​, and their goal was to transform peoples rooms and homes with their sense of style and color with their tag line "Dreams happen. Make room". Now, they are a family owned business that sells furniture not only in the States but also internationally. A word of warning about the Jonathan Louis Website​, it is utterly useless. It hardly works, and it has barely any information on it about their brand. Try to scroll through their products and you won't see much, and there are only a few pages that have any information on them at all. But just because they have a poor website doesn't mean their products are poor, does it...? Now that we have given you a brief introduction on Jonathan Louis's furniture, it's time to get into what everyone has been waiting for, the furniture!​ So jumping right into it, what type of furniture does Jonathan Louis sell? Jonathan Louis sells quite a few different furniture pieces, but mainly they focus on living room furniture, and they also have a few bedroom pieces as well. 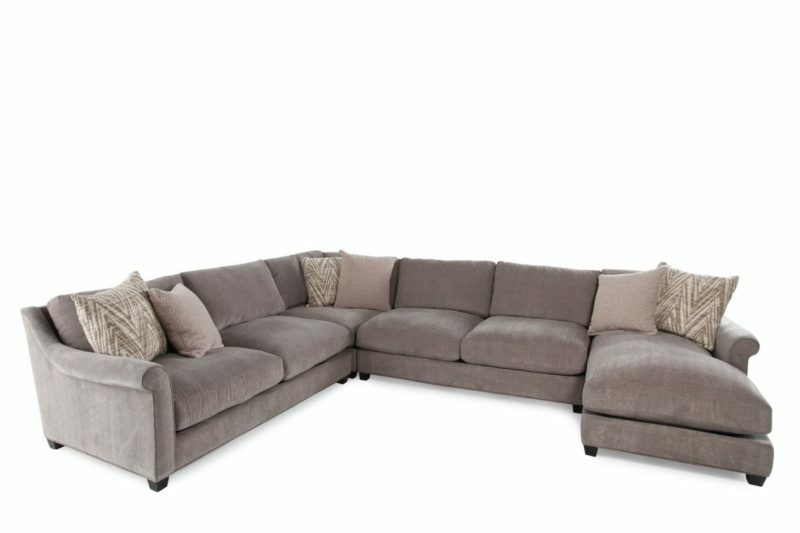 Some of their most popular pieces are the Jonathan Louis sectionals along with the choices by Jonathan Louis! Along with these two main pieces, they also have quite a few other products that we are going to get into, and do some reviews on!​ For example, there are Jonathan Louis ottomans, clarice, sofa sleepers, beds, chairs, and couches. Below we will get into individual reviews of each piece. For each of these reviews, I tried to be as unbiased as I could. I have used quite a few of these products, and for the ones I don't personally own, I have contacted people in the industry that I trust, and have asked their opinions on them. That being said, lets jump into the reviews. Finally, You Get To Select Out of The Hundreds of Different Types of Fabric Upholsteries That Jonathan Louis Offers. As you can see, you really do get a good amount of customizability with the Choices, which can be quite nice if you want something very specific. One thing you need to be concerned with when buying any sort of furniture, is its durability. When looking at most JL pieces you will be assured that the style is top notch, but what about the durability? I went around and asked a few of my friends who have owned the Choice, and I have compiled their answers below. ...I was steered towards Jonathan Louis furniture because of the style and the look. We loved the sectional for the first few weeks, but at about the 3 month mark the cushions started to show signs of extreme wear and tear. I ended up complaining and I received a free pair of cushions, but within a few months the same thing started to happen. I ended up disappointed with the overall durability of the Choice by Jon Louis. From this testimonial, it does really put the Choice sectional's durability into question, but because one customer had issues, does that mean all of these sectionals have these problems? I started asking around more and more about the durability of these sectionals, and it seems like there are a good amount of quality pieces out there, but there are still quite a few reports of these issues floating about. My word of warning would be that although they look great, I would do some simple testing like seeing how much give the frame has, the stitch work of the upholstery, before purchasing and taking home one of these pieces. 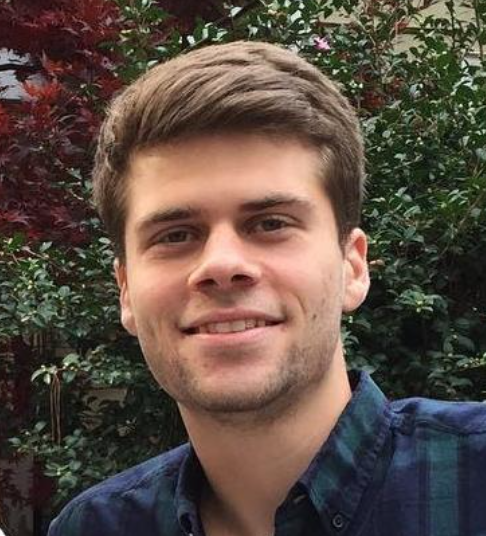 Similar to the Choice section above, Jonathan Louis is mainly known for their sectionals. I first saw these sectionals at Crate and Barrel and there was something about them that really made them catch my eye. 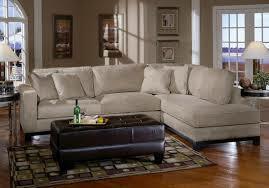 They were generally made out of polyester compared to the leather sections/sofas Southern Motion produces. That being said, I have always been a sucker for someone that can truly pull off minimalistic style furniture, and I think this is one of the things JL does really well. Along with their style, these sectionals have quite a bit of functionality because they come in quite a few different shapes and sizes. 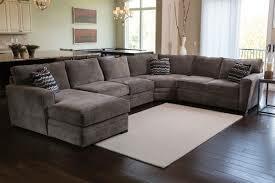 The first one I owned was three piece sectional called the Jonathan Louis Kate Three Piece sectional. As the name suggests it is a three piece sectional that features a low profile backing, with comfortable track-styled arms. This was great for entertaining and it really was extremely comfortable. Along with this they have the Shearson Four-Piece sectional which is another low profile backing design with a chaise section which was actually great for napping! I loved the style on both of these sectionals and they looked effortlessly beautiful. I might have scared some of you in my last section when I brought up that there might be some issues with durability/quality with Jonathan Louis.​ That being said, I haven't noticed or heard any horror stories about durability when it comes to the predesigned sectionals. I've heard some issues with the Choice program, but not so much with these sectionals. I personally have owned my three piece sectional for about five years and it's still in great shape. Overall I don't really think quality is something you should worry about when it comes to these sectionals. As I mentioned before, this company is pretty minimalistic when it comes to their style. They generally come in pretty neutral colors like gray and tan, which looks great. Along with this, they come in a few different sizes generally from two pieces all the way up to a five piece which is absolutely massive. When you are looking at sizes, you really need to think about what you all need your sectional for. If you just need it for entertaining guests then you would probably be better off without a chaise for napping, and I would suggest you look at the two or three piece sectional. But with the larger sectionals you do get chaises which are extremely comfortable and are great to nap on! If you are looking for something that will help you relax by putting your feet up, then look no further. 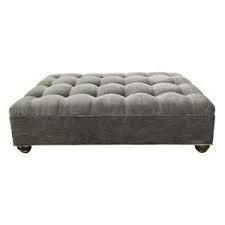 As I was looking for sectionals, I came across some great looking Jonathan Louis ottomans. They matched the minimalistic style that their furniture followed, but they were really the perfect size for my living room. These ottomans are generally squared but I also saw some circular ottomans as well. Along with this, these ottomans are stain-resistant with easy to care for polyester that is quite soft. Along with this, the wood base is crafted of fine hardwoods which are proven to last for years. I have owned my 24" x 36 " ottomans for the past five years with my sectional and it's still in great condition, so the quality is pretty great as well. These are pretty great, and I knew I had to include them in my Jonathan Louis Furniture Reviews guide! Knowing the warranty information on any piece of furniture can be an extremely important to your buying decision. That being said, Jonathan Louis Furniture actually has a pretty solid furniture warranty policy, which definitely makes you feel a bit safer when considering a purchase. JL features a 7 year warranty on all wooden frames. Seat Cushions and the Foam and Springs inside are under a 3 year warranty. Fabric feature a 1 year warranty. Every other part features a 1 year warranty as well. That being said, compared to quite a few other furniture brands JL has a pretty safe and generous warranty policy, which you as a consumer should feel pretty good about. Overall, if you're on the edge with some JL pieces, I'd consider giving them a chance because of their warranty program.